We’ve now had a chance to drive the Huracán Evo. Check out our first drive review. 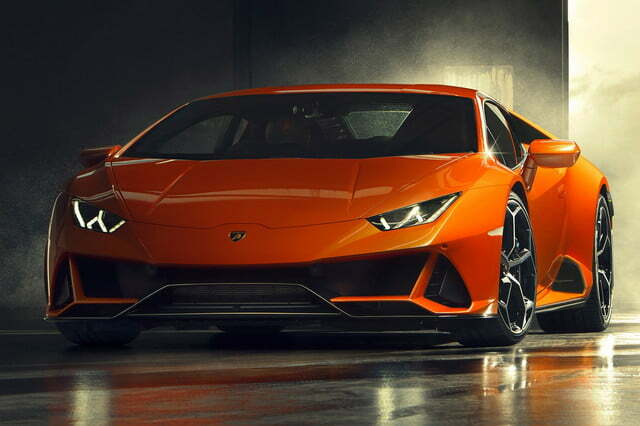 While our attention is focused on CES 2019, Lamborghini is making waves in the sports car world with an updated version of the Huracán. The 2020 Huracán Evo receives performance upgrades while moving in a more high-tech direction that points to the path the firm’s future models will take. The exterior design changes made to the front end are minor at best. Eagle-eyed car spotters will notice Lamborghini has redesigned the lower part of the front bumper to give the coupe a more aggressive look. Out back, the exhaust outlets move up — a styling cue borrowed from the Performante — to make space for a wider diffuser and the spoiler is more pronounced than before. All told, it’s still perfectly recognizable as a Huracán. Bigger changes are found inside. Though it hasn’t released interior photos yet, Lamborghini installed a new, 8.4-inch touchscreen for the infotainment system. Motion recognition technology gives users another way to navigate the software. Apple CarPlay compatibility comes standard, and buyers can pay extra for a dual-camera telemetry system that lets them record track runs. 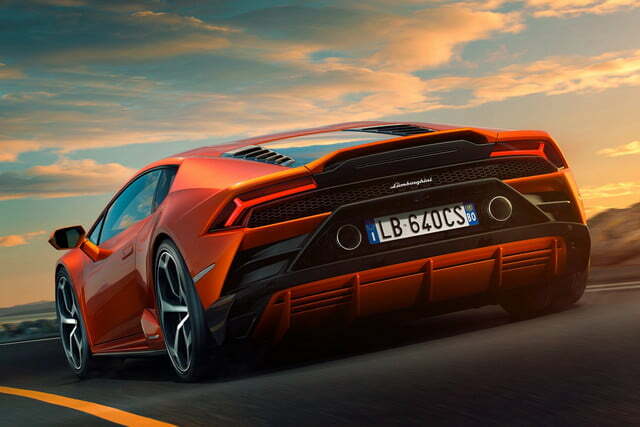 Lamborghini also offers a high-capacity hard disk at an extra cost. The Evo carries on with a naturally aspirated, 5.2-liter V10 engine. Lamborghini continues to resist the downsizing and turbocharging trends sweeping across the industry. The 10-cylinder makes 640 horsepower — a 30-horse increase over the standard Huracán — and 442 pound-feet of torque thanks to modifications like exhaust valves made out of titanium and a redesigned exhaust system. The V10 spins all four wheels through a seven-speed, dual-clutch automatic transmission mounted directly behind the passenger compartment. The rejuvenated Huracán takes 2.9 seconds to reach 62 mph from a stop, and it doesn’t stop accelerating until the speedometer needle crosses the 200-mph mark. While those figures are impressive on paper, they’re irrelevant in real life without control. 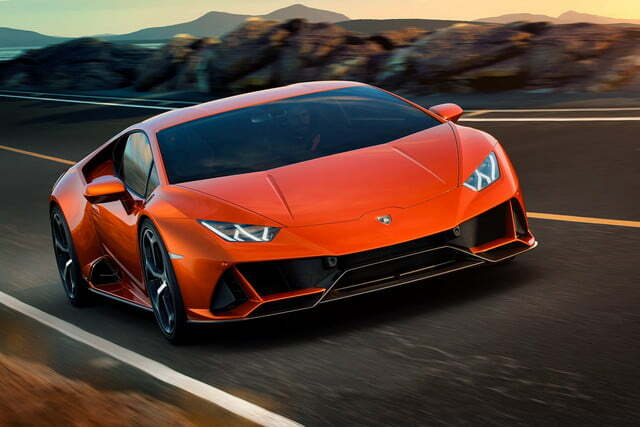 To that end, Lamborghini added an updated four-wheel steering system, as well as a torque vectoring system that makes the Huracán faster and more stable around corners. The model also benefits from a suite of sensors named Lamborghini Piattaforma Inerziale, which includes accelerator and gyroscope sensors. They feed the data they generate to a central computer named Lamborghini Dinamica Veicolo Integrata (LDVI) that helps keep the car on four wheels and pointed in the right direction. It’s also capable of predicting the driver’s next move, and it finds the best chassis setup for the given conditions. 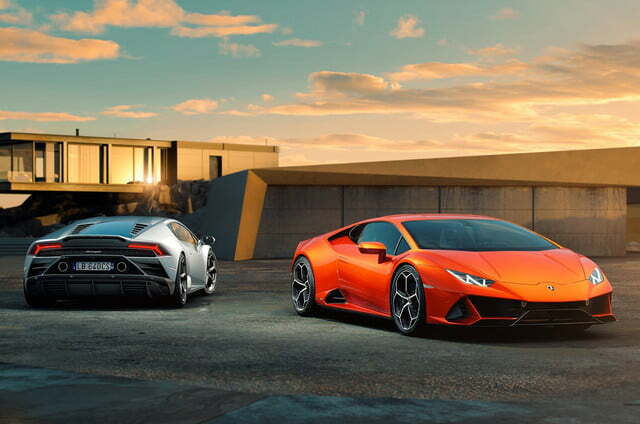 Lamborghini will begin delivering the 2020 Huracán Evo to customers in the spring of 2019. Pricing starts at $261,274. Other variants of the Huracán (including the convertible and rear-wheel drive models) will receive similar updates in the coming months.